I did it! 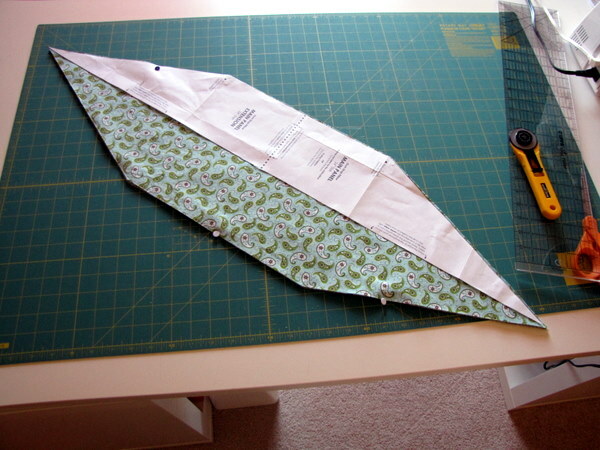 I sewed something, and it’s only 13 days in to the new year. I didn’t make much last year, it seemed, but I went back to work full time in July. I was a lot busier. This year, though, is my year of doing and making and reading and having some head space. This ottoman for our library came together much faster than I thought it would. I’m really excited about it, I think it looks great in its new home. A great pattern from Amy Butler. I bought this Amy Butler pattern when I was still working at my old public library job, but I never got around to making it. This week I FINALLY bought some green paint for that room, so I decided the time had come to get on with making this ottoman. 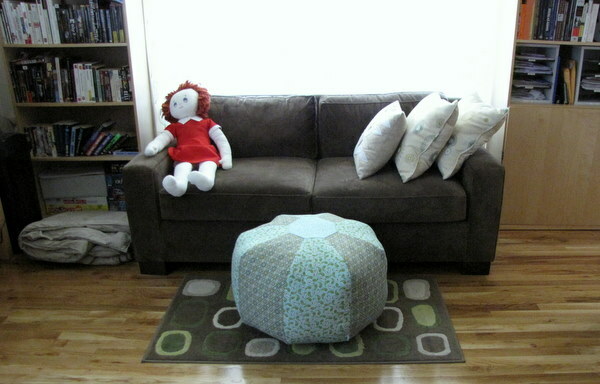 Yesterday I cut out the pattern pieces and cut out the main fabric pieces needed to assemble the ottoman. 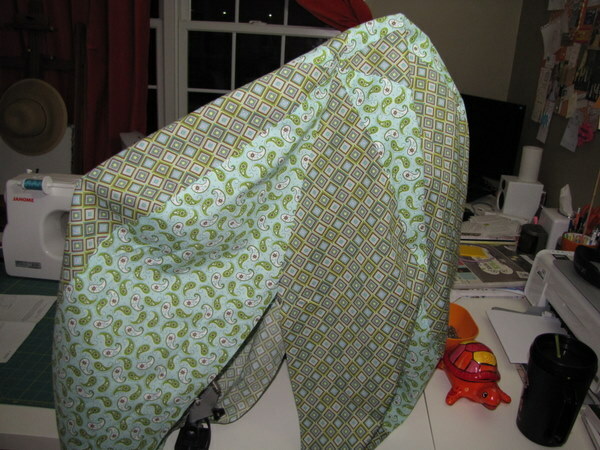 There are 2 fabrics going into this one, the paisley you see in this photo and a manlier squares fabric. They’re coordinating, and I think the colors will be great in that room. With any luck, the library will actually get painted before I go back to school…. At the beginning of the summer I bought this pattern, and once I finish this Crete Quilt (or at least get far enough along that I don’t feel guilty starting something new) I want to make a pair of the ottoman size for the house. 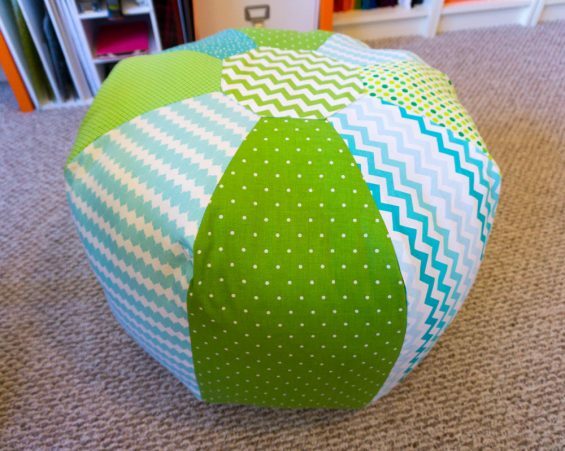 Originally I bought the pattern because I thought the ottoman size would make a fantastic bean bag chair for a kid’s room. I’m still thinking that I might make one as a holiday gift for one of the munchkins in my family. It’s a shame that my nieces on Adam’s side live in London…shipping this sucker would cost more than my college education.